Works of art can take many forms, and artists throughout history have pushed at the boundaries of the traditional materials of painting, drawing, and sculpture to create powerful visual expressions and experiences. The four works of art on view in this gallery demonstrate very different approaches to the creative process. 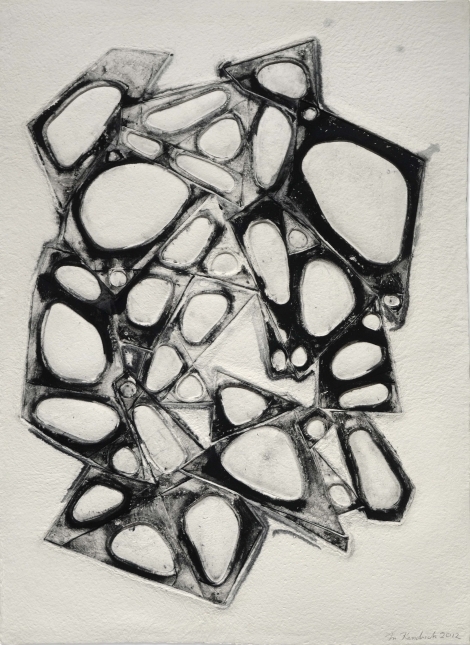 While the outcomes vary widely, the artists’ share an interest in exploring architecture, geometry, solid form, and fleeting gestures, and seen together their works here provide an opportunity for an artistic conversation—a way to think about connections and contexts anew. 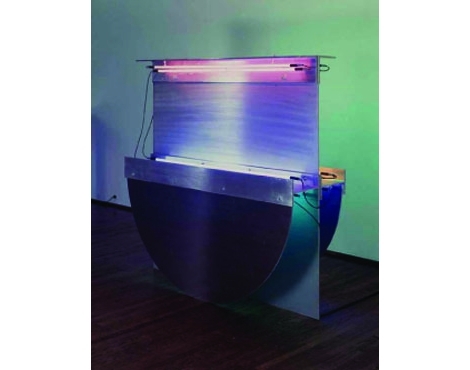 Keith Sonnier also uses light and geometric form. 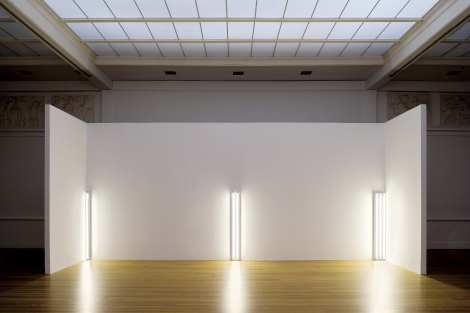 As a pioneer in the radical reinvention of art in the late 1960s, Sonnier was, like Flavin, attracted to non-art materials. He has used translucent fabrics, glass, bamboo, sticks, and other elements, but is widely regarded for his early and adept use of neon light in the service of his object-making. In Cycladic Extrusion I, 1988, Sonnier deftly combines the solid and seemingly indestructible aluminum forms with the fragile neon that functions almost like drawing lines in space. Early in her career, Dorothea Rockburne set out to “try to re-invent painting” for herself. The folded and segmented canvas of Egyptian Painting: Sahura, 1980, brings a quite different but conceptually related approach to the investigation of geometry, architecture, mathematics, and artmaking. Her sculptural use of the white canvas combined with the black drawing on the wall anchors her work while giving it an expansive nature. The purity of form and the absence of color provide the artist with a perfect counterpoint to the works of Sonnier and Flavin. 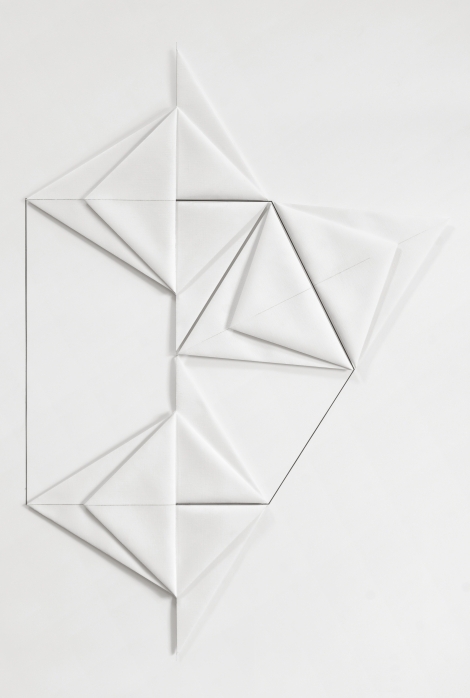 Mel Kendrick is best known for sculpture that reflects his artistic involvement with space and geometry. Recently he has experimented with pulp paper in collaboration with Dieu Donné, a center for papermaking in New York City. Kendrick is drawn to the dense texture and tactile fluidity of wet pulp, in contrast to the sense of strength and surface roughness the material has when dry. Works like Untitled, 2012, give the artist a chance to work quickly, and experiment with color and form with a sense of immediacy and play.